Lucas Vermontez was a proud firefighter like his father. Now, not only has he lost his father and his best friend, Zach, in the fire at the Grove Street homeless shelter, but the devoted rookie can no longer do the work he loves after being crippled in the tragic event. When friendship with his buddy’s beautiful widow turns into more, he wonders, what could he possibly offer Jenna? Jenna Morgan is trying to grieve her husband’s death like a proper widow, but the truth is, she never really loved Zach. His death feels more like a relief to her. But that relief is short-lived when she loses her home and the financial support of her in-laws. Now the secrets of her past threaten to destroy her future. Can the two forget the painful past and discover new reasons to live and love? 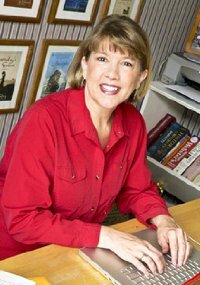 DEBORAH RANEY has written more than 20 books. Her first novel, A Vow to Cherish, inspired the World Wide Pictures film of the same title. Her books have since won the RITA Award, ACFW Carol Award, HOLT Medallion, National Readers' Choice Award, Silver Angel, and have twice been Christy Award finalists. Forever After, second in her new Hanover Falls Novels series, will release in June from Howard/Simon & Schuster. Deb and her husband, Ken Raney, enjoy small-town life in Kansas. They are new empty nesters with four children and a growing quiver of grandchildren, all of whom live much too far away. Visit Deb's website.